Dr. Jiaguo Jiao (June 2008, Institute of Soil Science, Chinese Academy of Sciences, Nanjing; External Member). Dr. Junxi Wu (June 2007, Agronomy & Agroecology, China Agricultural University, Beijing, External Member). 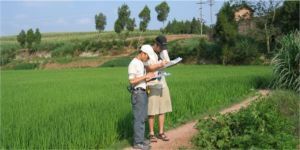 Dr. Li Shoucheng (June 2005, Agronomy & Agroecology, China Agricultural University, Beijing, External Member).